Responsible for implementing corporate and industry marketing initiatives, trade and promotional activities and events, and manage special cross-divisional projects that promote AMC Networks and its brands to affiliate, advertising, creative and regulatory communities. Additionally, responsible for the day-to-day management and oversight of AMC Networks’ internal communications functions. The ideal candidate will have strong written and verbal skills, and is comfortable working in a collaborative fast-paced environment. Monitor and update corporate brand (logos), corporate marketing materials and internal/external company and industry websites to ensure accurate corporate branding across linear and digital platforms. Manage AMC Networks industry partnerships and marketing/promotional events. Negotiate and coordinate corporate sponsorships ensuring favorable positioning for the company. Coordinate with internal stakeholders in establishing company presence, including exhibits, journal ads, videos and promotional materials. Develop executive briefing materials (timelines, event logistics). Develop and implement company-wide internal communications functions and events working with internal stakeholders to ensure activity supports corporate goals, track progress against analytics to measure engagement and improve processes/programs. Manage internal special projects and events. Support CEO and executive internal communications writing clear, concise and grammatically correct employee communications. Oversee the content and maintenance of AMC Networks corporate website, company intranet, and press website. Ensure website content is up to date and accurate. Liaison with internal content providers and technology teams to ensure websites meets company standards. 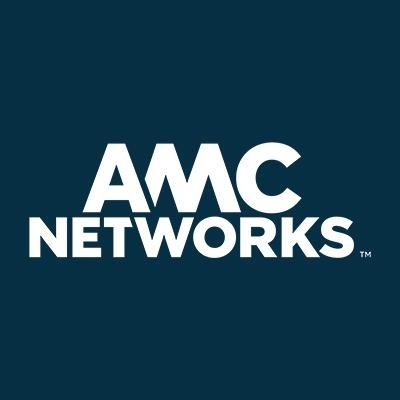 Work closely with AMC Networks internal digital and IT departments to identify technical issues and ensure issues are resolved. Manage external communications received through websites and route to internal clients for response. Manage logistics for trade advertising campaigns. Monitor, identify and review key advertising opportunities. Oversee creative development, copywriting, production and delivery of print and digital assets. Manage day-to-day corporate philanthropic activities. Manage AMC Networks corporate and cross-divisional special projects working closely with internal and external stakeholders. Manage all sponsorship/event details including, event branding, tables/tickets, executive invitations/participation, etc. Maintain corporate contributions database and track requests. Prepare and execute communications between AMC Networks and non-profit organizations. Responsible for department budget including the preparation of the annual budget, monthly/quarterly forecasts and day-to-day operations including processing and tracking contracts, PACs, T&E forms, etc. Manage AMC Networks premiums working with internal stakeholders and external vendors to select, purchase and arrange for timely delivery. Strong organization, oral, and written communications skills. Production experience across linear and digital platforms executing corporate trade marketing campaigns. The ability to manage multiple tasks, prioritize, and meet deadlines. Experience project managing with cross-functional teams. At least six years media industry experience. Working knowledge of entertainment industry, cable programming, affiliate and advertising communities.